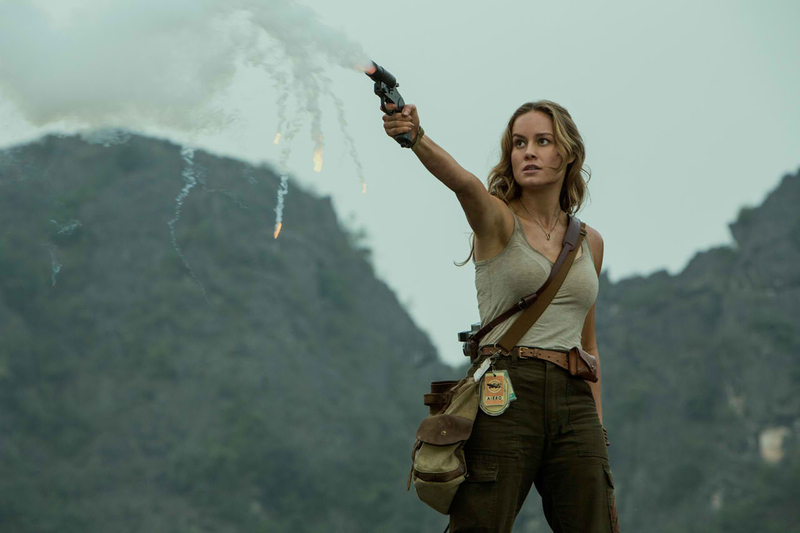 Thefanboyseo.com offers up our Kong: Skull Island review. The film stars Tom Hiddleston, Brie Larson, John Goodman, Samuel L. Jackson and John C. Reilly. Directed by Jordan Vogt-Roberts. Opens March 9 from Warner Bros. Pictures Philippines. The film is set in the 70’s just after America calls it quits during the Vietnam War. And thanks to some manipulations by representative of MONARCH, a recon mission to the mysterious Skull Island was put in place. Unfortunately for these guys and gals, they encounter King Kong, whose pissed that these “invaders” are dropping bombs on his territory. The trailer pretty much sums up the entire story. So far, I was entertained with the film. Not mildly but wildly entertained. First let me tell you that there’s a ton of different plot holes here and there and some generally unresolved stuff. Plus they did a Chekov’s Gun trope where they prominently showed a minigun then they just forgot that they had a minigun or that was rather hastily dispatched. I feel bad that they didn’t play out that particular trope like how Resident Evil games do with their boss-killing rocket launchers or chemical weapon launchers. Nothing of the sort for Kong. Still this movie could be seen as an alternative MCU with the film being topbilled by the likes of Loki (Tom Hiddleston), Captain Marvel (Brie Larson), Nick Fury (Samuel L. Jackson), Corpsman Dey (John C. Reilly) and Doctor Doom (Toby Kebbel). So every Marvel fan needs to see this film. 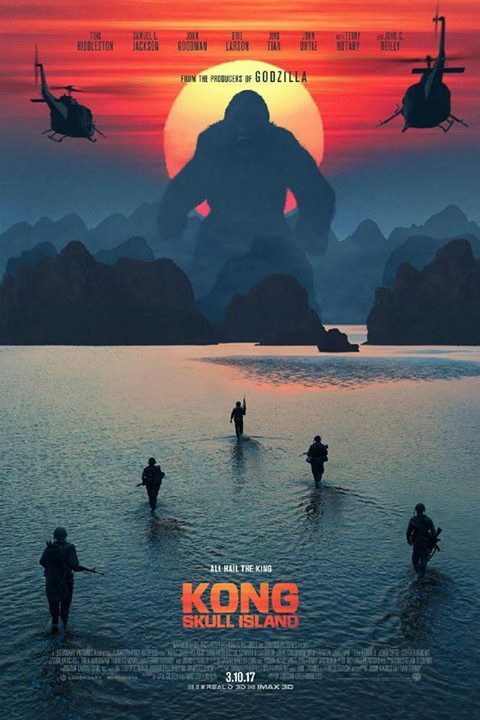 But the BIGGEST reason why I feel strongly for Kong: Skull Island is because its the catalyst for things to happen; for other monster movies to emerge following a single continuity and timeline. Without spoiling so much, lets just say that the Kong: Skull Island effectively paves the way for Godzilla 2 and a whole lot more. Oh god, are they seriously marketing Tom Hiddleston as Captain Conrad for this franchise? While he’s a good actor watching him onscreen be this commando character had a lot of downs more than ups. There’s also zero chemistry between him and Brie Larson’s Mason Weaver. That slow motion sequence between him and the baby Otachi Skull Crawlers territory was painful to watch. Still the dude is eye-candy for the ladies so I don’t see him going away anytime soon. I do hope they fix his character and give him more depth in his actions rather than a script that doesn’t really get to you. The same thing goes for Brie Larson. She’s painted as a strong-female protagonist but she never really connects with both the audience and with the characters; this in turn ruins a rather great moment between her Kong. John C. Reilly’s character was the breakout character here. 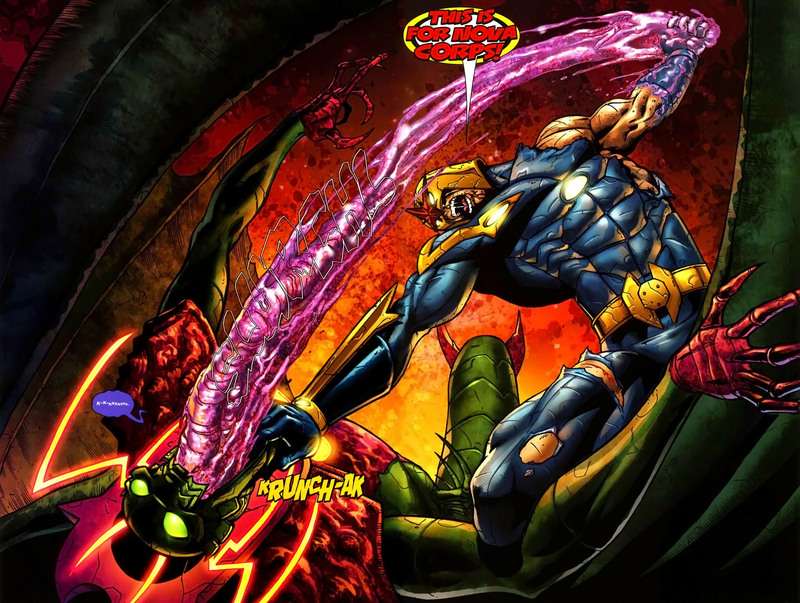 From his quips about calling the Skull Crawlers as such to his obliviousness to who won the war, this was a great character who broke the monotony and by-the-numbers plot. His character’s ending too was also great. It was just deserves. This new lore they are working on is rich and can branch out to other stuff like comic books. Like I’m definitely curious about the origins of this lug and what exactly happened to his parents. But ultimately, the question is did it satisfy me? The answer is yes. Small or big moments got me here which is why I’m giving a positive rating in this Kong: Skull Island review. The sheer grandness of the character and the scale of action is definitely a good thing. Thank the old gods for making this.